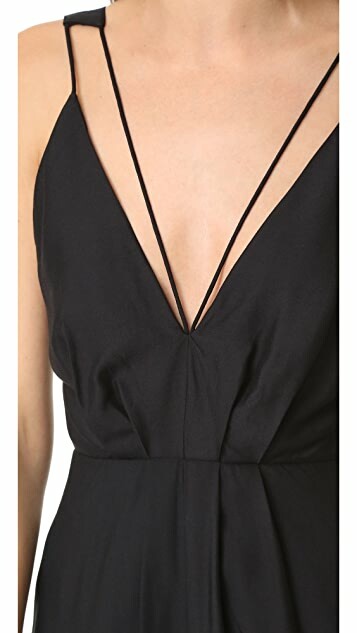 Slender straps trim the V neckline and shoulders on this slinky C/Meo Collective jumpsuit. Pleated, nipped waist and hidden zip cuffs. On-seam hip pockets. Hidden back zip.